The Chamber of Commerce Board Meeting took place at an undisclosed location to selected the 2007 Citizen of the Year. There were so many great nominations the selection process was the most difficult and lengthy in the six year history of the award. As a result your board made a decision that they think will be appreciated by everyone. Plan to attend the Citizen of the Year Banquet at Stoney Acre this Saturday. The Stoney's team is planning a great meal and live entertainment by Island Soul. The "full meal deal" including beverage and desert is only $19.95. Choices include filet mignon, roast duck and great lakes perch. Cocktail hour begins at 6:00, dinner at 7:00 and the award ceremony to follow. Seating must be limited. Make reservations by calling Stoney Acre at (231) 448-2560. Some of the subscribers to this website will receive a notice about their subscription expiring this month. The attempts to email you of these notices have not all been successful because your email address may have changed and your email was returned to me. I have no way of contacting you other than through your email if you do not live on the Island, and would prefer to contact you via email even if you live on the Island. If you account expired in late January or early February, you may find that you no longer have access to the website. I apologize for this in advance, but sometimes that is the only way for you to find out that your subscription has expired. Particularly if you have not sent me a current email address, I have no way to contact you. If you are not sure when your subscription expires, please email me, so I can check it for you and get a current, working email for you. Thanks to all that have supported this website over the years. This website is Beaver Island's only weekly news service and updates are made almost daily depending upon the news that is available. There are at least fifty-two issues of this news site every year which makes each week cost about 85 cents. There are now approximately twenty business supporters for this website. We are proud to be able to provide this news service, and the more business supporters that come forward, the more you can be guaranteed that the cost of subscribing will not go up. This news service is on its way toward supporting itself, but we are not there yet. Brontae Lemmink, Deven Cook, Heather McDonough, and Jenna Butler have been working the last month to help the ASPCA (American Society for the Prevention of Cruelty to Animals.) They had a bake sale on St. Patrick's Day where they made $326..
Tonight, Thursday, April 10, 2008, at 6:30 they are having a pet party where they will be telling people about animal cruelty and the ASPCA! There will be cake and drinks. A speech. And a make-with-your-dog t-shirt contest. They have non-toxic paint and blank white t-shirts. The winner of the contest will win a ASPCA calendar with adoption stories for each month. Once they submit their party plans into the ASPCA, they have a chance of going to NY for a weekend and spending time with the ASPCA officers and the ASPCA adoption clinic. Perhaps everyone can go after the Lighthouse Spaghetti Dinner at the Peaine Hall tonight. Update: It fell into the water at 11:34 p.m. last night, April 8, 2008. Update: And the winner is Kathy Speck with a guess 3 hours and 24 minutes after the tower went down. Second was Tony Connaghan who's time was 4 hours and 4 minutes before it went in. Thanks to all those who participated in this year's contest. Update: It is interesting how they tell when it it over. There are four tilt switches on the tower mounted at 90 degrees wired to relays on shore. When it tips over a switch will close and trip a relay closes cutting off power to the clock. Another relay also trips and prevents the clock from restarting. The winner will be announced soon. The PABI Ice Classic continues. 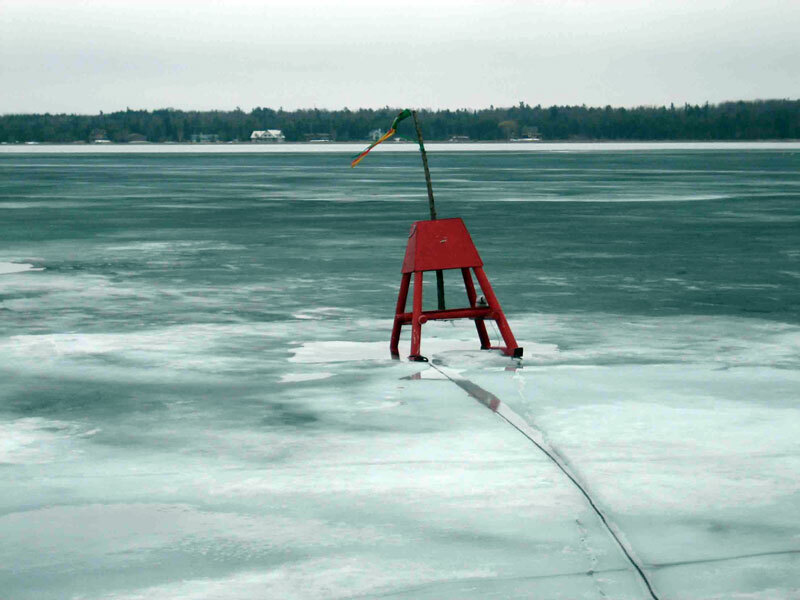 The object of the contest is to guess the day, hour and minute the tower tips over when the ice melts. This is the third year of the contest. Last year the tower went in a 2:52 PM on March 28 th and the winner collected over $1,200. In 2006 the tower went in at 8:29 PM on March 29 th and the winner collected Over $600. There were approximately $2,000 worth of tickets sold so the winner will receive about $1,000. Guesses for the date the tower goes into the ice range from mid March to the first of May. The following businesses will each have a Penny War can and are trying to collect as many pennies as possible. Each penny is worth 1 point. However, and here's where it gets good: Any nickels (-5) , dimes (-10) or quarters (-25) are NEGATIVE POINTS! So, pick the business YOU want to see win and put your pennies into THEIR jar. Then, go put your silver coins into the jars of the OTHER businesses to bring DOWN their total points. Note: If your business is not listed here and you would like to play, just let any Junior Class member know and we'll add you to the list above. This Penny War will run until April 17, 2008. Welcome TDS Telecom as a business supporter! The Paradise Bay Coffee Shop is temporarily closed due to broken water pipe damage. Sorry for the inconvenience! We will open again as soon as the damage is fixed. Penny is one of the visiting providers who come to the Island to provide time off for our dedicated NP provider Sue Solle. As a former BIRHC medical provider, what do you see as some of the changes that have taken place in the medical center facility, staffing, and equipment? It's a beautiful new facility with room to grow and expand services. The staffing hasn't changed much, and it seems adequate for current services. The equipment is newer, but is essentially unchanged and seems to meet the needs. I feel badly that the telehealth isn't utilized more. The loss of the on-Island mammograms is concerning because we picked up a fair amount of breast cancer with these screenings here. What do you see as improvements? What do you see needs improving? I think the clinic should channel after-hour calls to a triage system. They need someone to interview the caller, determine the emergency nature of the call and then contact the BIRHC provider as needed. As a visiting provider now, do you see anything that could be better for providing healthcare to the residents of and visitors to Beaver Island ? I think the healthcare facility here goes above and beyond the healthcare provided on the mainland. Only here can a resident/visitor get ahold of “their” healthcare provider 24/7. This is a positive for promotion of the clinic, but a negative for the Island providers. You work downstate now. Are you willing to share some of the reasons for your leaving the Island to work downstate? The residents and the visitors do not know the boundaries of contacting the clinic for routine versus emergency healthcare. They have become too comfortable of just picking up the telephone and calling. Another reason for leaving was the lack of a regular relief system. It was difficult to plan time on or off the Island . There was always catching up to do on a return to the Island , so leaving wasn't worth it. Also residents would consistently stop and talk with the care provider in any environment about medical needs. That is why we kind of isolated ourselves on the East Side . As a provider working in another area, can you provide the BIRHC Board and the community some pointers on how to attract a second provider to the community? The Island and BIRHC Board need to promote the position to someone who might be semi-retired and who would enjoy small community life. Although it may be short term, provide educational assistance to a Nurse Practitioner student in exchange for practice time here on the Island . They could also provide assistance with housing which is an expensive undertaking for a new provider. What are the drawbacks of taking this position? On-call hours? Pay? Benefits? With clinic hours and on-call (particularly in the summer), this amounts to a full-time position for a part-time salary. The benefits are comparable to a mainland primary care practice. Can you and will you give us an idea of what percentage of a drop in pay you would take to come here and provide care? Would you think that this might be one big deterrent to attracting a second provider? 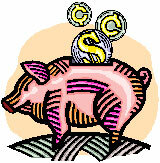 Yes, the average salary according to a Nurse Practitioner survey is now $81, 397 Part-time wages are now $40 per hour. This does not factor in on-call time, which is NOT a normal expectation of most Nurse Practitioners. In 1996, I started at a salary of $50,000. Some have questioned the need for an FNP, suggesting that a PA might be just as valuable. Can you comment on what you see are the advantages of the nursing perspective compared to the Physicians' perspective of the PA? Scope of Practice is the same. I have seen some excellent PA's and I have seen some that lack the nursing theory and compassion. That will impact their practice. I don't think the Islanders will perceive a difference in their care when there is a good, caring, and competent PA or NP. The medical group in Charlevoix seems comfortable with either one as long as they are compatible and competent. Can you describe the advertisement that would get you (right now) to consider returning to Beaver Island to fill the position advertised by the BIRHC? A unique living environment, full family practice with urgent care. Strong, supportive emergency services working closely with the provider. Part-time practice with shared on-call responsibilities. Must desire community involvement. Independent practice with good community and physician support. Kevin Barry and Theresa McDonough are the proud parents of Sophie. She weighed in at 8 pounds 9 ounces and is 22 inches long. 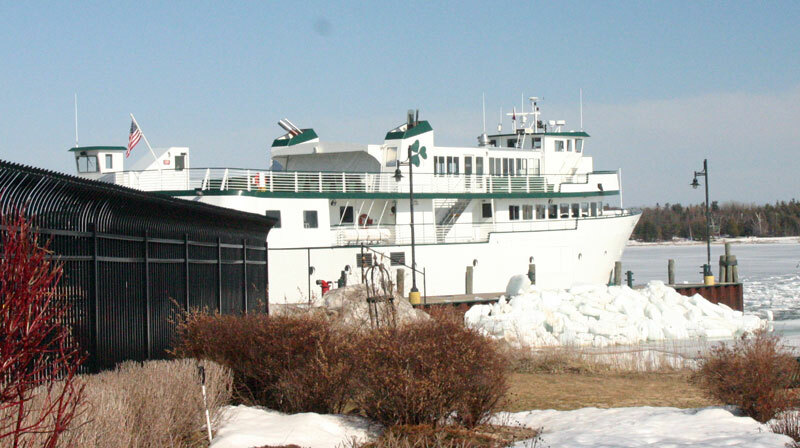 The Emerald Isle has returned to Beaver Island in preparation for the beginning of the Beaver Island Boat Company ferry season, which starts this next Wednesday, April 9, 2008. 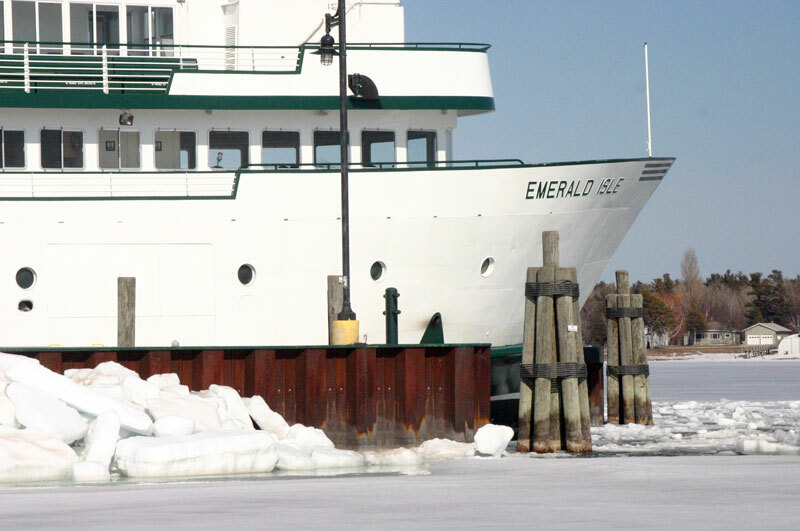 Jimmy Kenwabikise again had the “Ruby Ann” out in the Paradise Bay Harbor to break up the ice in preparation for the Emerald Isle's trip back to Beaver Island . The boat leaves Beaver Island on Wednesday morning at 8:30 a.m. for its first scheduled trip of the season. These two pictures were taken at the gas pumps at the Station, Island Energies, owned by Martin Gas and Oil. 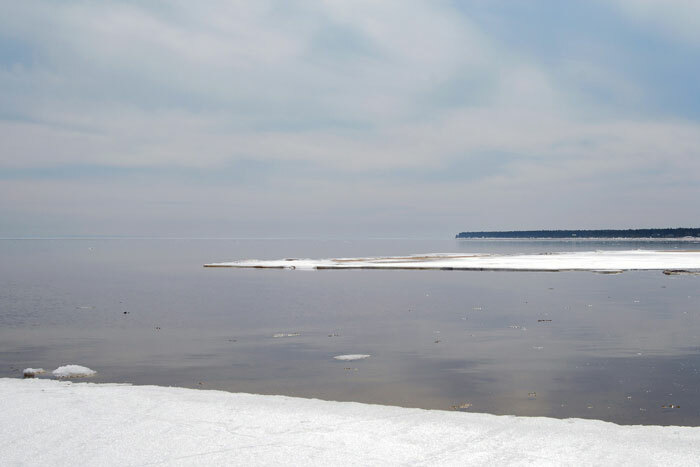 Frank Solle took a walk to check out Sand Bay.. He took these two wonderful pictures and decided to share them. Thank you, Frank, for the inspirational pictures. What was the name of the first non-physician medical center provider to provide care to the people of the Island? Becky Gerace was the first correct answer to this question. Becky, email me the information for the gift subscription. There were several other correct answers to this question. The first non-physician provider at the medical center was Michael F. McGinnity, RN, who had practiced in the UP. Mike was a deacon in the church here on Beaver Island, went to PA school to improve his ability to treat the Islanders, and was also in the Michigan National Guard. Pat and Mike now live in Florida where he is still practicing as a PA and is very involved with the Catholic Church there, just like he was here on Beaver Island. Follow up on last week's question. When Mike McGinnity was in Iraq serving his nation in the National Guard, who provided the healthcare services to the Island residents during that period of time? 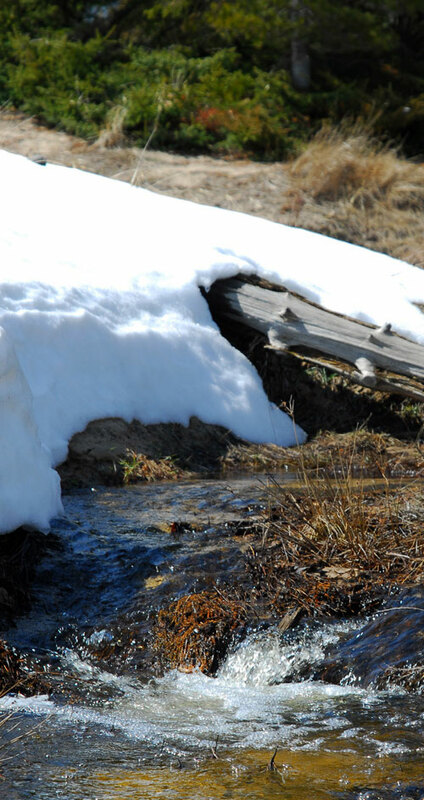 The spring thaw seems to be happening in full force right now. Temperatures are soaring to the balmy 40's. Snow is melting at an alarming rate causing muddy roads and large lake-like puddles in the road. The golf course is beginning to call some of the more avid golfers. It is reported that at least four fairways are open enough to find a white ball. A few more days and the greens might even be puttable. For those itching to get the clubs out, it may soon be possible. Margaret I. “Peggy” Currier, 82, of Charlevoix, died Thursday, April 4, 2008, at Northern Michigan Regional Hospital in Petoskey. A Rite of Christian Burial will be 10:00 a.m., Monday, April 7, at Saint Mary's Church in Charlevoix, the Reverend Jerry Hunko officiating. Burial will be at Holy Cross Cemetery on Beaver Island. Peggy was born September 26, 1925, in Petoskey to Joseph and Veronica (Gallagher) Left. She grew up on Beaver Island, and graduated from Petoskey High School in 1944, then earned a Bachelor of Arts in Education from Michigan State University in 1948. On April 19, 1949, she married Desmond Patrick Currier in Petoskey. They made their home in Bloomfield Village where Peggy taught Physical Education at Berkley Elementary and St. Mary's School in Royal Oak. After retirement, she and Des moved permanently to their summer home in Charlevoix. Peggy was a member of Saint Mary's Church in Charlevoix, and the Christ Child Society. Desmond preceded her in death on November 12, 2006. Peggy is survived by her children, Margaret Irene (Richard) Tanghe of Troy, Charlotte Currier of Royal Oak, Maureen (Paul) Court of Chicago, Joseph Currier of Berkley, William (Maggie) Currier of Beverly Hills, Colleen Currier-Hart, and Vincent (Kim) Currier all of Charlevoix; twelve grandchildren; five great-grandchildren. Peggy's brother Bill Left also preceded her in death. 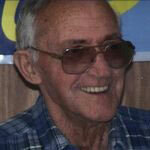 Clarence Maudrie passed away this morning. Funeral arrangements are pending. More information will be posted when available. Visitation for Clarence will be from 2-4 Sunday at St. Stevens Catholic Church in Naubinway, with the funeral mass at 4. Clarence P. "Bullo" Maudrie Jr.
Lifelong Naubinway resident, Clarence P. "Bullo" Maudrie Jr., 80, died Thursday morning April 3, 2008 at the Schoolcraft County Medical Care Facility in Manistique. Born February 2, 1928 in Naubinway, son of the late Clarence Sr. & Christine (Wachter) Maudrie, Bullo was a veteran of World War II serving in the United States Army until his honorable discharge on April 29, 1947. On May 8, 1948, he married the former Norma J. Smith and made Naubinway their home. Bullo sailed the Great Lakes with his father Clarence Sr. on the W. E. Fitzgerald and later was employed as a stone mason for 26 years. Following his father's death he continued employment as a commerical fisherman on Lake Michigan until his retirement. Bullo was a member of the Sault Ste. Marie Tribe of Chippewa Indians, member of the V.F.W. Post #8372 of Engadine and member of the International Union of Bricklayers and Allied Craftworkers. 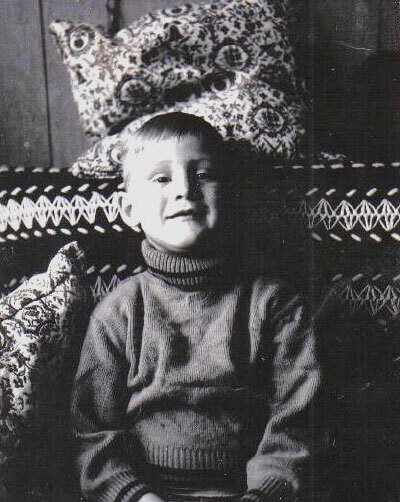 His hobbies and interests included hunting, fishing, reading and jigsaw puzzles. Besides his parents, Bullo is preceded in death by his sons Paul & Eddie; siblings Earl, Richard, Larry & Jackie. Survivors include his loving wife of over 59 years, Norma J. of Naubinway; children Diane (Cliff) Walmsley of Curtis, Luanne Keinonen of St. Ignace and Bonnie (Howard) Tetrault of Melbourne, FL; 13 grandchildren and 8 great-grandchildren; siblings Joyce Merriam of Naubinway, Hubert of Interlochen, FL, Maryann Kelly of Houston, TX, Marcella (Brent) Schultz of Flint, Lida Moffat of Ypsilanti, Phyllis Widmayer of Dexter, Loretta Ryum of Dalton, GA and Donna Falls of Tombul, TX. A Mass of Christian Burial will be celebrated Sunday April 6, 2008 at 4:00 pm at St. Stephen's Catholic Church in Naubinway with Fr. Tim Hruska officiating. Friends may call at the church on Sunday April 6th from 2-4 pm. Commital services with military rites will take place at the Naubinway Cemetery. Those who wish may contribute to the American Lung Association or the Alzheimer's Association in memory of Clarence P. "Bullo" Maudrie Jr.
Condolences may be expressed at www.beaulieufuneralhome.com . 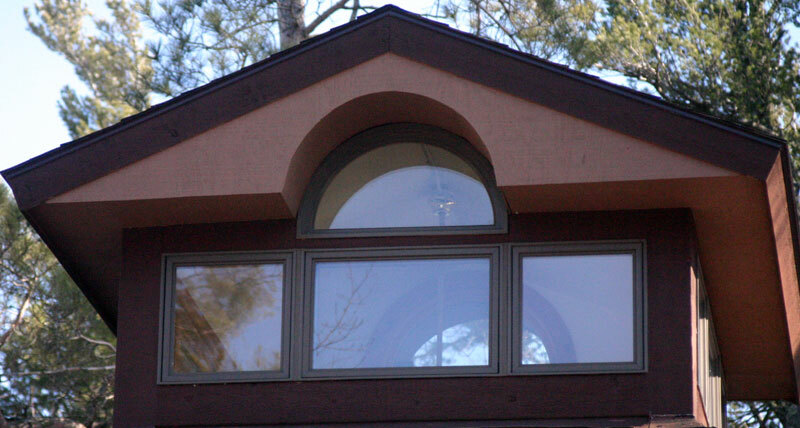 This week's picture comes with an architectural question. What is the purpose of this type of structure? Last Week's Who is this? 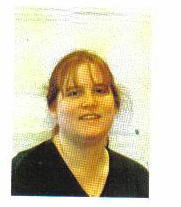 The answer is none other than our own BI Community School teacher Mrs. Deb (LaFreniere) Robert. No one got this one on the first guess, but Mary Palmer got it on the second. One of the highlights of the meeting will be Brian Mastenbrook from the DNR. "Hopefully he'll be able to update us on the cormorant issue. He may also want to talk about last years deer season and projections for this year," Bob Tidmore stated. Join Us to Honor Beaver Island 's Citizen of the Year! *Please indicate choice of entree when making reservation! The Citizen of the Year Banquet is April 12. Island Soul will play at the banquet at Stoney Acre Grill. Cocktails will be served on April 12, 2008, beginning at 6 p.m. with the dinner following at 7 p.m. Please call Stoney Acre Grill for reservations 448-2560. Your choices at dinner include Filet Mignon, Perch Dinner, Roasted Half of Duck with lingon berry reduction. All dinners are served with redskin potatoes, vegetable, biscuit, and a small tossed salad. Dessert of Irish Apple Sundae is included in the dinner price of $19.95. You can prevent or delay the onset of diabetes. Take the first step and attend the Pre-Diabetes Class being offered throught the REMEC program at the Beaver Island Rural Health Center Education Room, Wednesday, April 16, 2008 from 6-9 p.m.
What is is and what can I do? This is for people who might have been told they were "Borderline" or have already been told they are "Pre-Diabetes" or are just interested in the topic. This is sponsored by the Diabetes Education Department of Charlevoix Area Hospital and will be broadcast over the REMEC network from Charlevoix Area Hospital. There is no charge to list items for sale at a fixed price; there is a fee if we sell them. We handle the photographing and listing of the item plus the packaging, shipping, the billing and collection of the money. The Board will make a decision about the bids at its public meeting on April 14, 2008.